France is to be one of six European nations to welcome a portion of the migrants from the humanitarian vessel Lifeline, which looks set to land in Malta in the coming days, President Emmanuel Macron has announced. This will amount to “several dozen people per country”, Mr Macron said at a press conference during his visit with Pope Francis this week. 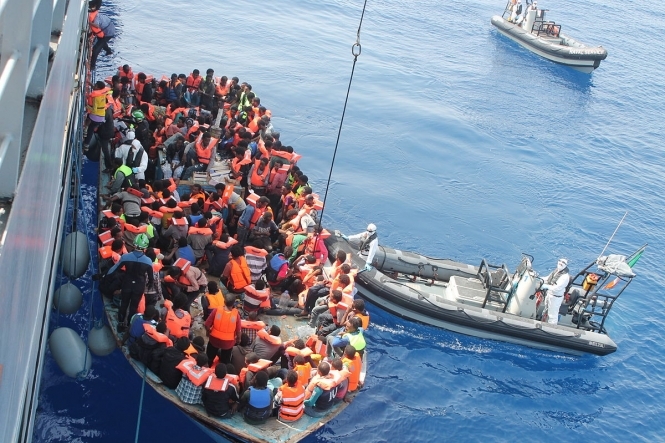 The vessel is carrying 233 migrants, thought to originate mainly from northern Africa. Yesterday, the Italian head of state Giuseppe Conte confirmed that he had spoken with the Maltese Prime Minister, Joseph Muscat, on the telephone, and that the Lifeline boat would now be permitted to land in Malta - although a date has not yet been confirmed. Yet, President Macron criticised Lifeline - the German NGO boat owner of the same name - for having acted “against all the rules, and those of the Libyan Coast Guard”, and warned against “played into the hands of smugglers”. Italy is set to take on some of the migrants as well, but also plans to subject the ship to “investigations to ascertain its true nationality, and ensure that its crew has respected international law”. The Lifeline vessel is the latest migrant ship to make headlines after the 600-person Aquarius was refused entry by Malta and Italy two weeks ago, highlighting the stark difference between the attitude of various European nations to welcoming migrants. Hungary, the Czech Republic, Slovakia and Poland have adopted a hardline stance, while France and Germany, under Chancellor Angela Merkel, have called for a European-wide cooperative approach. In France, Marine Le Pen has caused controversy by saying that the solution would be “to take [the migrants] back to their port of departure, in Libya”. Le Pen also criticised the NGOs that help migrants, accusing them of “complicity” with smugglers, and “seeking stowaways on coastlines to take them to the European Union”. She added: “The goal of the NGOs is not to bring people to safety, but to bring them to the EU, underlined by an ideological desire to force Europe to welcome all of these migratory movements.